Pilot Iroshizuku Momiji Ink Review – Pens! Paper! Pencils! 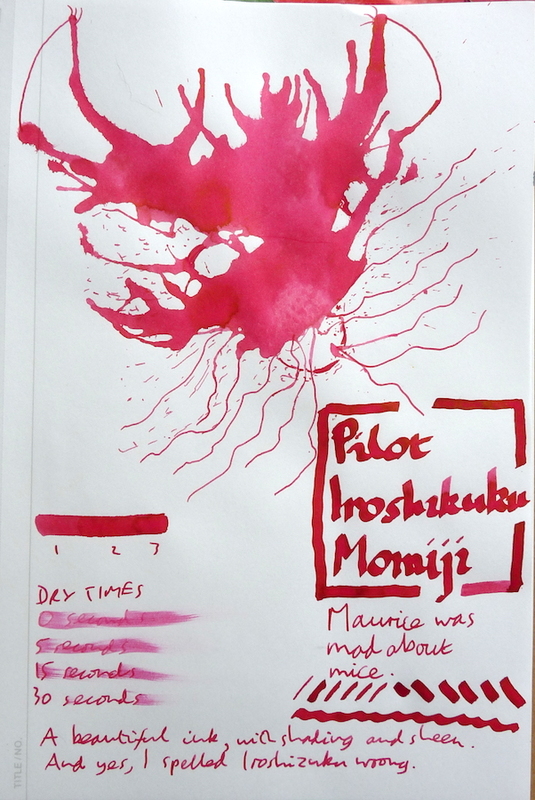 Pilot Iroshizuku Momiji (“Autumn Leaves”) is a gorgeous pinkish cherryish red with not a little gold sheen in it where it pools. It’s fairly quick to dry and flows well. Here I am doodling the Inkling (and in the process spelling Iroshizuku wrong). I received a sample of this from Pure Pens as part of their ink sampling service. I already had a bottle, as can be seen in the picture, but I wanted to say thank you to Pure Pens anyway, and to point you towards their range of ink samples. 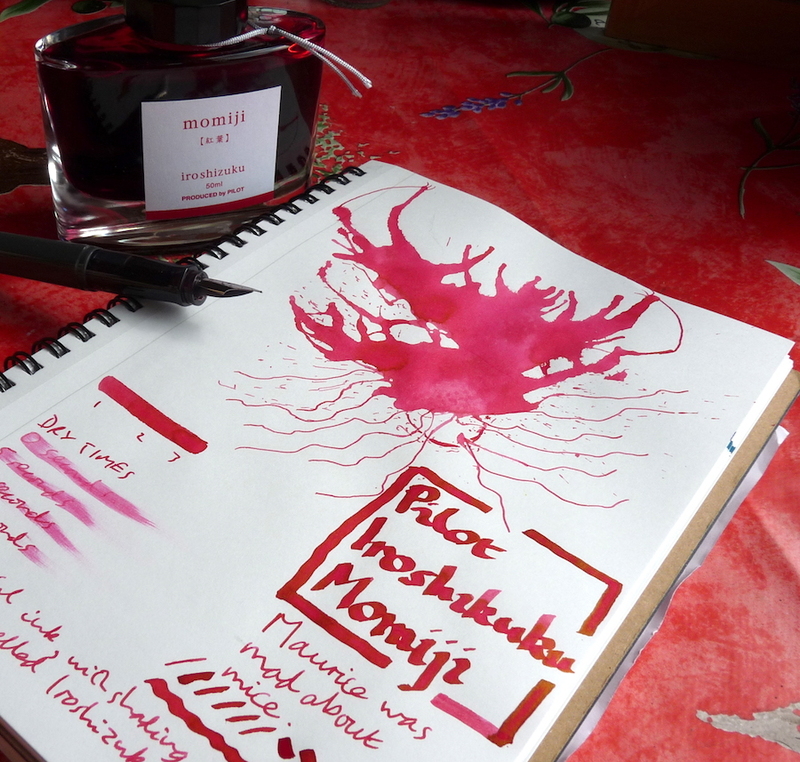 You can find some more reviews of Pilot Iroshizuku Momiji on Pennaquod.